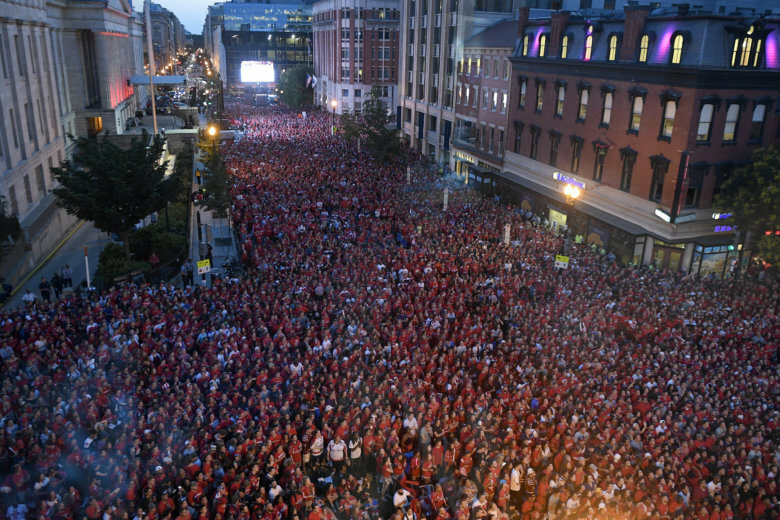 Watch a livestream of the Washington Capitals' victory parade as the team - and its fans - celebrates the franchise's first Stanley Cup. WASHINGTON – If you can’t make it to the Washington Capitals’ victory parade on Tuesday, you can still take in the epic celebration via livestream. The parade for the Stanley Cup champions kicks off at 11 a.m. and heads down Constitution Avenue. NBC Washington will provide live coverage until 3 p.m., and you’ll be able to watch it here.